Thank you to everyone who showed support for a new bridge to ease traffic congestion west of the Hawkesbury River. There has been a lot of interest this past week in our decision to offer a financial contribution of $23.8 million to RMS and Council to deliver the Grose River Bridge. As the bridge passes through public open space, a Plan of Management (POM) must be amended through a very lengthy Council process. With so much uncertainty surrounding our application, we have been unable to obtain approval in a timely manner. 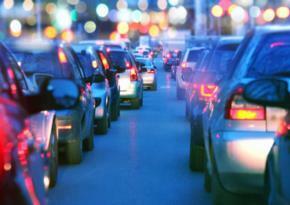 These delays in approval are completely beyond our control. We have expended considerable time and resources seeking approval for the proposed bridge. By offering a financial contribution now, Redbank is ensuring maximum funds go towards building the bridge, as any further costs spent on seeking approval will be deducted from our contribution. When Council has its next briefing to discuss the bridge, it should either accept the money we are putting forward and work with Redbank and RMS to deliver the bridge, or decline our funds and approve our current bridge plan so we can get on with improving traffic. By going public this week, we have brought this issue to light in an effort to gain some much-needed traction in what has been a slow and frustrating process. Please be confident we want the bridge and are doing everything we can to get one. We want to assure buyers that funding for the bridge has no impact whatsoever on land registrations or development timeframes. We are getting on with establishing a new community as planned. The Grose River Bridge is a critical piece of community infrastructure that will ease traffic congestion in the area. If you agree we need to build a bridge, please show your support and ask Council if they want a bridge: YES or NO. Yeoman’s soon-to-be residents Sheridan and Darren with little baby, Hailey. The family looks forward to life at Redbank raising a family in their new home. Sheridan and Darren Mitchell are excited to call Redbank home, with baby Hailey who, at just six-months, is set to be one of our youngest residents. The Mitchells are making the move from their rental property in Richmond, and are looking forward to enjoying a home of their own and seeing their family grow and prosper at Yeomans. 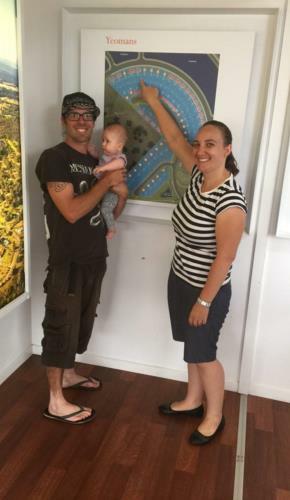 According to Sheridan, the Hawkesbury is the perfect area to raise their family. The Mitchells chose to build at Redbank because it is an exciting new development with a great layout for a newly built home. The Mitchells love exploring the Hawkesbury countryside and enjoy camping — their favourite spot is Burralow Creek. They hope to be pitching their tent more often, with Redbank on the doorstop of many family-friendly camping grounds, perfect for a weekend getaway. We welcome the Mitchells to the Redbank family. Sydney Polo Club, just down the road from Redbank in the Richmond Lowlands, will host the World Polo Championships come October. The “sport of kings” has been played for decades on the banks of the Hawkesbury River. 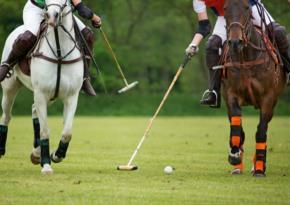 In something of a local coup, Sydney Polo Club won the bid for the championships over a US polo club. The event, in partnership with Destination NSW, is likely to attract 5000 visitors to the Hawkesbury and showcase the region to an international audience. This is not the first time Sydney Polo Club has been on the international stage, having appeared in The Great Gatsby. Six days of world-class polo will commence on October 21, with eight international teams competing for the World Champion title, including Australia and current world champions Chile. At Redbank we want to build a connection with our region’s rich past and welcome the next generation of Hawkesbury pioneers. Rouse Hill House and Farm, one of the area’s oldest properties, was home to six generations of the Rouse and Terry families before it opened as a museum in the late 1990s. Each generation has left its mark, never erasing the evidence of those who lived there before. Just 15 minutes from Windsor, it’s worth a trip with your family to learn more about the Hawkesbury’s colonial history, with guided public tours each week. Open Wednesday, Thursday and Sunday 10am-2pm Annangrove Rd, Rouse Hill Visit the website for more information. Avid campers like Sheridan and Darren? Are you chasing a serene waterfall or looking for your next 4WDtrack challenge? Redbank is a stone’s throw from hectares of forests, sandstone cliffs, canyons and waterfalls in the Blue Mountains. Check out some of your future local camping grounds. Burralow Creek: An exclusive, grassy haven for those with a 4WD. Surrounded by native bush, this free camping area has ample space so finding a spot is usually easy. Cattai National Park: On the Hawkesbury River, west of North Richmond, and surrounded by open, grassy fields of Cattai National Park. Cattai is a more accessible option for curious, but inexperienced, campers. Don’t forget your swimmers and fishing rods — as there are lots of rivers and creek beds to explore! Euroka Campground: A little further south at the foothills of the Blue Mountains but worth the trip. The area has plenty of grass and shade and is a great access point to the lower Blue Mountains where you’ll discover Aboriginal culture, walking tracks, camping (tents only), climbing and mountain biking. 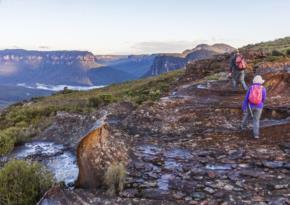 To book your next camping trip in the Blue Mountains, call 13000 72757 or visit http://www.nationalparks.nsw.gov.au/visit-a-park/parks/blue-mountains-national-park. Department of Primary Industries Fish Care volunteers are supervising shore-based fishing activities from the end of March through to mid-December. 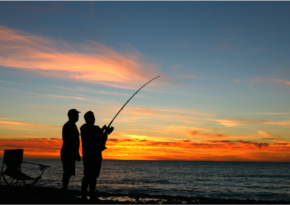 You can catch up to nine species of freshwater fish, including Australian bass, catfish and long finned eels. BYO equipment and bait for a day on the water. Ever wanted to try sailing? Sailability Penrith Lakes are giving members of the public the chance to hire one, two and four person yachts in April. All are welcome and yachts can even accommodate people with a disability. Prices start at $20 for non-members. Put on your cleats and get ready for a jump start to the triathlon season. Fitness buffs will enjoy the regular triathlon club races, the largest in Australia. There's something for everyone, whether you are starting out, looking to get fit and stay active or want to push yourself with some healthy competition against Sydney's top triathletes. Explore the Botanic gardens, solve puzzles and learn about both delicious and disgusting things about plants. Suitable for children 6 – 13 years. Kids will love looking for bugs and mini-beasts of all kinds and learning how these creatures survive and adapt to their environment. They can also get creative and sculpt their very own mini-beast from natural materials to take home. 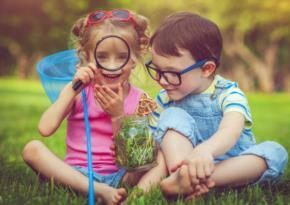 Instead of hunting rabbits and eggs, kids will discover secret doorways, find flowers and uncover evidence of animals. Suitable for children from 4 – 8 years. If you have taken a photo that celebrates life at Redbank or in the Hawkesbury region, please send it through to community@nrjv.com.au for the chance to win a $50 voucher for Value Valley Meats in Richmond. Redbank’s resident photographer Tom Walsh captured this misty Autumn morning shot. As mentioned in our lead article, please note our decision to inform Council we will make a $23.8 million contribution to Council and Roads and Maritime Services has absolutely no effect on existing or proposed stages at Redbank. If you are waiting for registration or your stage has not commenced construction, it is business as usual. We are asking Council to use our funding and work with RMS to build the bridge or approve our current DA so we can proceed. As you can appreciate, we don’t want to wait another two years for an approval. More than 95 per cent of purchasers have now settled their land contracts with the remaining lots booked in over the next week. McDonald Jones has confirmed the site will be closed from 11 April so if you wish to see your land beforehand, now is the time. Please note McDonald Jones cannot begin construction until they receive the ‘Authority to Commence Construction’ letter from your bank. To date 40 letters have been submitted – we suggest getting these submitted ASAP to get things moving. For any questions relating to this or your building contract, please contact Elif Kaplan via email at ekaplan@mjhmulti.com.au or on 02 8808 7467. Congratulations to purchasers who settled their properties last week. We look forward to seeing your new homes take shape. We are happy to announce great news for everyone in Stage 2 — we have lodged with LPI today. Registration is expected to take three to five weeks. Our solicitors, Thomson Geer, will contact your legal representatives to notify them of registration. The workshop scheduled with Sydney Water on 5 April to resolve water connection solutions for stage 3 has been moved by Sydney Water to the 13th of April. The goal remains to identify the preferred option and determine the best path to deliver water infrastructure as successfully seen in stages 1 & 2. Last weekend we started converting the 40 purchasers who had Reservation Agreements in Stage 4 Yeomans to land contracts. Clients who have not yet provided their paperwork please contact the sales office this week to finalise. We have limited remaining land so please hurry if you don’t want to miss out. Civil works are still on track to commence by mid-year. Civil construction is still on track to commence mid-year. We will continue to keep purchasers updated during this hold period. Details for our planned site inspections for buyers will be released when construction commences. The draft plan for parks and reserves at Redbank is available for public comment. The draft includes the potential for a low impact / small-scale water play area in Peel Park adjacent to Yobarnie Rise. View the plan here: Please note this is a Council requirement and they are seeking feedback for their proposal to the upgrades to Peel Park. Please direct any community inquiries to community@nrjv.com.au or phone 0481 987 370.